If the investment choice is between mining stocks and physical bullion, it is essential to remember that these are different asset classes with entirely different risk/reward attributes. Mining stocks and bullion perform quite differently when the global economic environment is in turmoil, as is the case today. Banking crises, trillion-dollar deficits and the accelerating depreciation of many of the world’s major currencies do not create positive conditions for equity markets, which is why investors are fleeing to the safety of physical bullion. This flight to bullion was confirmed during the stagflationary 1970s. 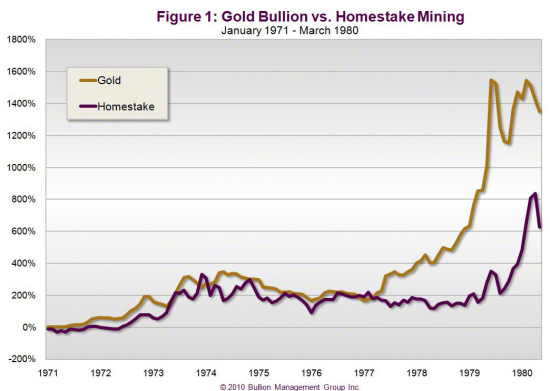 Figure 1 shows that while Homestake Mining, the shares of the largest North American producer at the time, increased by an impressive 800 percent during the 1970s, physical gold increased by 1,500 percent, during that same time period. While it is true that many junior mining companies outperformed both bullion and Homestake in the 1970s, producing impressive returns for their shareholders, many other juniors faded into obscurity, resulting in painful losses. The volatility associated with junior mining companies versus blue chip producers and physical bullion makes them a purely speculative choice. However, if you have a high risk tolerance and a good advisor, then a small allocation to junior mining companies may be appropriate, especially those with established ounces in the ground. Juniors with a new discovery can generate substantial capital gains, but they are still highly speculative investments and can be very volatile. While mining stocks can generate impressive returns during an uptrend in precious metals prices, they do not outperform bullion during times of crisis, as in the financial meltdown of 2008, for example. 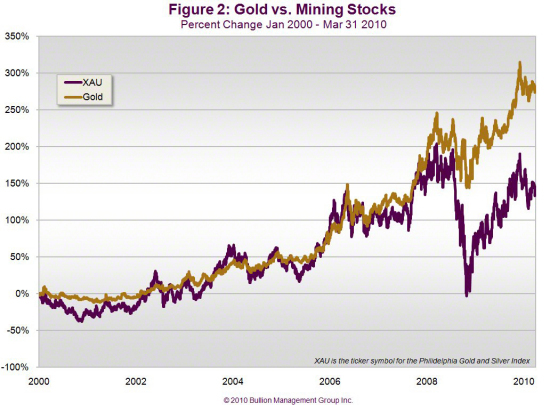 Figure 2 shows the relative performance of the XAU mining index against gold bullion. When global economic conditions deteriorate, investors inevitably seek a safe haven for their wealth, rather than more speculative investments. As can be seen in Figure 2, gold maintained its strength throughout the turmoil, even as financial markets and mining stocks (as represented by the XAU Index in purple) declined. Blue chip gold stocks like Goldcorp and Barrick Gold can be good investments because, unlike juniors, they are less likely to wither away to nothing and frequently offer dividends. But timing is crucial because producers can also be quite volatile. Other precious metals investment options might include mining ETFs which holds a basket of gold producers, but be prepared for a daily roller coaster ride. Regardless of the type of investments chosen, every investor’s portfolio should be diversified with precious metals. 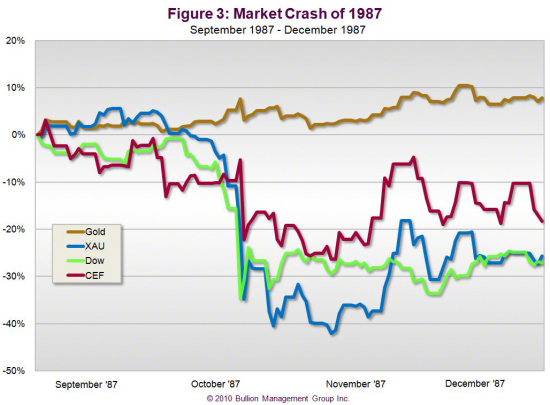 During sharp market declines, such as the 1987 stock market crash, mining stocks tend to become correlated to the broad equity markets rather than the price of bullion. Figure 3 shows the comparative performance of mining stocks, gold bullion and the Central Fund of Canada (CEF), a closed-end fund that holds gold and silver bullion, during the crash. As the chart shows, mining stocks declined more than the Dow even though the price of gold was rising. The exchange-traded Central Fund behaved like an equity even though it holds bullion. While mining stocks have significant appreciation potential beyond the price of bullion, they are leveraged plays on bullion prices, and like any form of leverage they carry a variety of risks. In addition to stock market volatility and deteriorating economic conditions, potential risk factors include: geopolitical issues, environmental issues, management skills and performance, business model, financial strength, mine life, production costs and efficiencies, increases in operating and energy costs, hedging policies and exploration success. Many investors jump on the gold bandwagon without taking the time to assess whether they are savers seeking wealth preservation or speculators seeking capital gains. Mining stocks, especially juniors and exploration companies, tend to be for speculation, while bullion is about wealth preservation. But physical bullion should not be viewed as an investment. An investment is defined as an asset that is expected to produce earnings or capital appreciation at a later time. Bullion does not pay dividends, income or interest, and should not be held, primarily, for capital appreciation. If bullion isn’t an investment, what is it and why does it continue to rise in price? 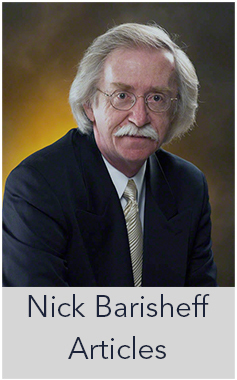 Gold is primarily a monetary asset. It has been a universal medium of exchange and store of value for three thousand years, and it backed every major world currency until the twentieth century. 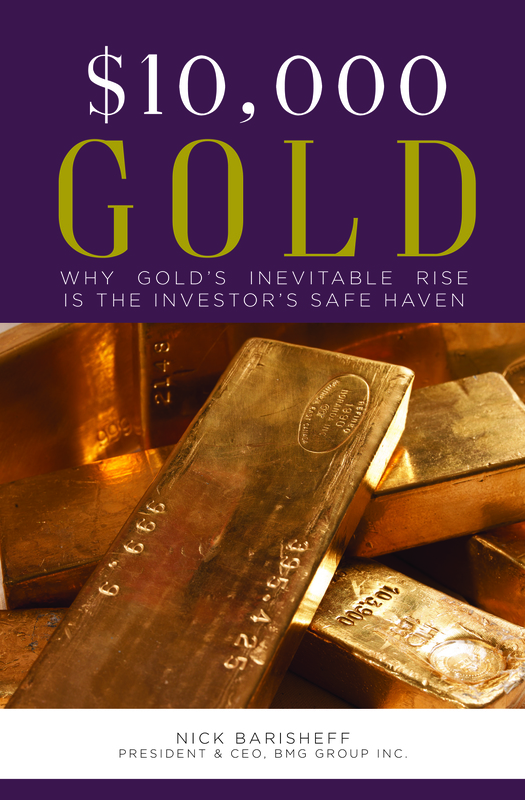 The reason for gold’s “rise” to prominence in recent years has little to do with the metal itself; it is occurring because gold provides the ultimate protection against economic mismanagement and currency destruction. In an era of rampant currency creation, gold has resumed its historical role as money. For a full explanation of this phenomenon, go to: “Gold is Money”. Because gold and other precious metals do not depreciate in the long term, it should replace the depreciating “cash” component of every investor’s portfolio. 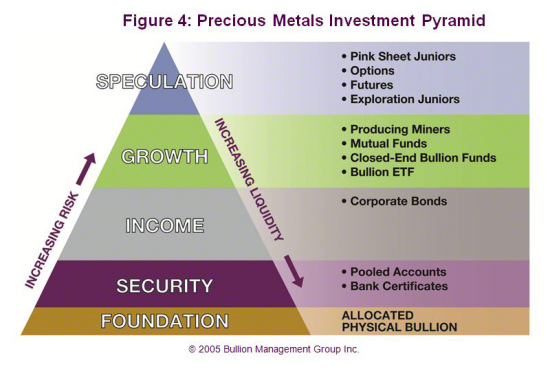 Physical, allocated bullion is the foundation of the precious metals investment pyramid (Figure 4) and, given current conditions, it offers more safety and security than government bonds, T-bills and other traditional cash components. In an era of fast money and currency destruction, bullion is real money. Central banks are buying bullion, hedge funds and other institutional investors are buying bullion. And the world’s largest creditor – China – is diversifying out of dollars and buying bullion. Most investors’ portfolios are heavily weighted in currency-denominated financial assets (stocks and bonds), but few comprehend the extent of their purchasing power loss. 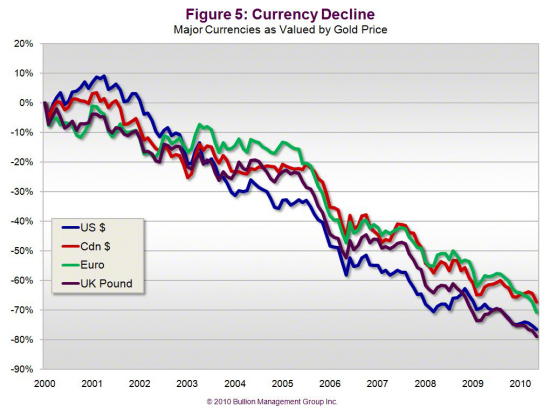 The numbers in Figure 5 may help put things in perspective: in the past ten years, the US and Canadian dollars, the UK pound and the euro have, collectively, fallen more than 70 percent in value if measured in that universal unit of money, gold. In effect, investor portfolios have lost 70 percent of their purchasing power. Currency destruction, while it is accelerating, is by no means a recent event, however. Since 1913 (not coincidentally the year the US Federal Reserve was formed) the US and Canadian dollars have lost a staggering 96 percent of their value. Is this trend likely to come to an end? Not in the foreseeable future. The debt problems in Europe in general, Greece in particular, Japan and the UK should be of grave concern to all investors. As the crisis widens and deepens, all currencies are coming under pressure. The US dollar is rising because it is currently perceived to be the least ugly of an ugly bunch. But is it? America’s budget deficit (13 percent of GDP) is nearly identical to that of Greece, and its debt as a percentage of GDP is not far behind. And America’s problems are one hundred times the size. In 2009, the US incurred a budget deficit of $1.4 trillion, and its debt rose by $1.9 trillion due to off-budget expenditures. These off-budget expenditures alone were more than the 2008 budget deficit. At the end of 2009, America’s total debt was approaching 100 percent of GDP, but most investors are unaware of another, far bigger burden: trillions of dollars in unfunded liabilities for Social Security, Medicare and Medicaid. Money the government promised to taxpayers for Social Security has instead been borrowed for its own use. Money the government promised to fund future Medicare and Medicaid benefits and military/government pensions has not been set aside at all. Richard Fisher, a member of the Federal Open Market Committee, believes total US debt – including Medicare and Social Security – is over $122 trillion (Figure 6). This is more than $390,000 for every man, woman and child in the US, and the number keeps rising. When, not if, interest rates rise from their present near-zero levels, US debt payments will soar because every percentage point rise in interest rates adds an additional $120 billion in interest payments. And if inflation were to take hold, rates could easily rise to 10 or 15 percent, as in the 1970s stagflation era. If that were to happen, interest payments alone would gobble up over 90 percent of government tax revenues. With this kind of economic future on the horizon, is it any wonder the US dollar is in irreversible decline? As confidence in fiat currencies continues to decline, gold prices will rise causing mining stocks to rise as well. In a world of increasing volatility and uncertainty, precious metals bullion provides tangible, predictable wealth protection for currency-denominated investment portfolios. For the past several years, as currency creation has reached unprecedented levels, gold, silver and platinum have resumed their traditional role as a store of wealth. Over time, purchasing, or adding to, a core holding of physical bullion is a prudent investment strategy. While a minimum 10 percent allocation is considered adequate under normal conditions, a much larger allocation of 20 percent or more is suggested for protection today. 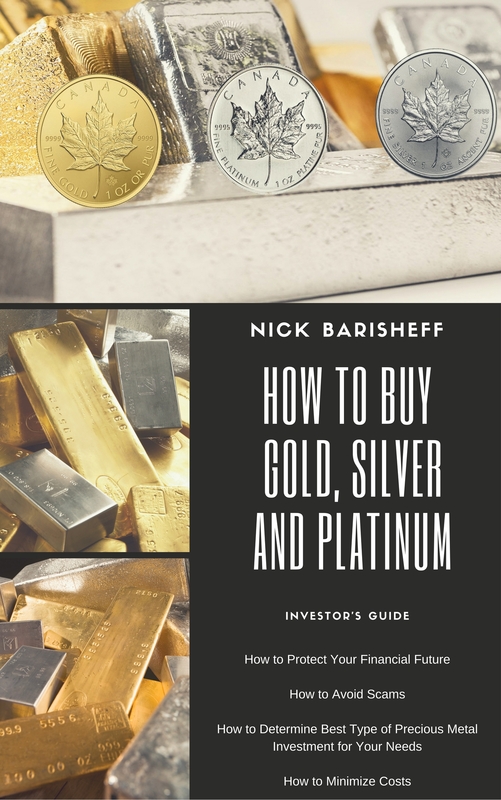 If you have not already done so, now is the time to rethink your investment strategy and preserve your hard-earned wealth with physical bullion.